July 16th 2017, the beautiful city of Toronto welcomed me with bright skies and warm weather. Today is also the first day I ever set foot in one of the greatest metropolitan city of Canada. It is also the first day of my long week of activities and adventures that will lead to the Miss World Canada pageant night. After a long exh austing flight, I got into the cab with my new girl friend Maneet, Miss Souther Alberta, and made our way to the hotel. The day was off to a great start as I met many young women who are not just beautiful externally but also have a heart of gold. The Miss World Canada pageant officially started with a Sponsor Party, which is an orientation exercise where delegates from all provinces meet and become friends one week before the Grand Finale. The event began with some introductory speeches. Michelle Weswaldi, the pageant director, welcomed the delegates and introduced the individuals who have poured their heart & souls to organize the pageant. Rob Campbell, our first speaker, spoke about the duties of the titleholder and the opportunity the title affords a proficient spokesperson. He also discussed good blog form and how to start and end blog posts, how to use categories and tags, apply ALT text to photos and promote content in social media channels. The information he provided was truly invaluable ! Valerie Stachurski from Charming PR in Toronto concluded the speeches of the night. After the speeches, the sponsors who have funded the pageant have presented their products & services. Words cannot describe how truly grateful I am to all the companies who have provided financial assistance to the Miss World Canada pageant. I would have not had the opportunity to share the stage with so many outstanding women if it is not for their generosity. So let me tell you a little bit more about these kind individuals and their companies. Ladies can you imagine wiping your make up off completely with just a cloth that has no harsh chemicals. Maxine Warsh, owner of the Maxine Warsh – Facial Rejuvenation and The Wash Cloth, has kindly given all the delegates a warsh cloth that removes makeup completely with a simple swipe. She also worked hard to educate the delegates on the water in their skin. Who doesn’t love a big bag of body and skin care products ! The Babe Box was given to each and every single delegate and was filled with lotions, nail polishes and lipsticks. Pina and Lucy from The Kraco set up a lovely display of beauty products and accessories. From lip balms to hand creams, these ladies have the complete collection. My favourite was the maroon coloured lip balm. It has not only made my lips feel nourished, but also gave them a beautiful natural tint. I was absolutely thrilled when I heard Nine West will provide shoes for each delegate. 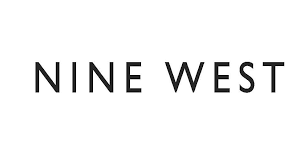 Everyone who has ever worn foot wear wore by Nine West knows how comfortable and amazing they look and feel. I cannot wait to share the photos of my heels that I will be wearing for the pageant made by Nine West . Keep calm and play with a beach ball right ? 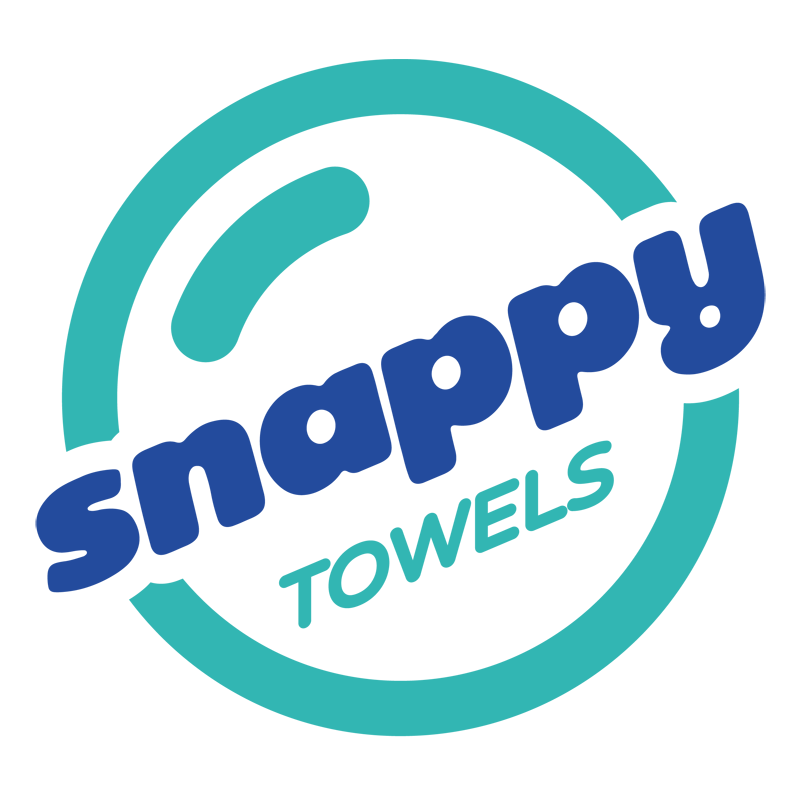 Snappy Towels microfiber beach towels gave away blue and pink beach balls emblazoned with their logo. Raven social media photo booth was set up to make memories with the party and the official photo wall in the background. Robin had a very neat camera set up to capture our best and funniest moments at the event. HOOLA HOOPS ! Just those words take you back in time to our childhood. Isabella Hoops Entertainment sent hula hoop performers to put on a show and give tips to inspire other enthusiasts among the assembly. So I was not the greatest hoola hooper in the room, but I definitely had fun trying it ! It was such a great way to calm my nerves. Thank god for Archer Dental for sending ahead dozens of tiny gift bags loaded with dental supplies for the week ahead. There was a lot of last minute packing and I might have forgot my toothbrush ! But no need to worry thanks to Archer Dental. And every delegate got tank tops from StreetChic.ca and Tastic Marketing. What’s a better way to end your night than getting a free tank top with a cool message? Lily from Street Chic lit the room with her genuine smile and distributed funky tanks to all the delegates. My first day was a blast ! Meeting amazing young women to getting numerous gifts, it truly was fun-filled and exciting as promised. Follow the above companies on their social media to get the best deals & services. Located in downtown Edmonton across the river valley, the symbol of our province, the Alberta Legislature Building truly is breath taking! It was the first place my parents took my sister and I when we moved to Canada 11 years ago. I still remember holding my father’s hand as he took us on a tour and explained to us the significance of the Building. The Legislature Building, often dubbed as the Ledge, is my favourite place in Alberta! Here are a few reasons why it should be yours. Designed in the Beaux- Arts style, the Alberta Legislature Building truly is the most iconic and majestic architecture in downtown Edmonton. The building stands tall with marble columns and a mahogany interior inspired from architectural styles of Greek, Roman and Egyptian designs that symbolize power, permanence and tradition. Visitors to the building are greeted by the seasonal flowers surrounding the fountain which was built to commemorate the first visit of Queen Elizabeth II . The grand staircase beyond the fountain leads to the third floor called the Assembly Chamber. The high domed Chamber is lit with skylight, with walls decorated by paintings that depict our provinces rich history. The building houses 100 of years of history and is a great place for children to learn about Alberta’s values and ideals. Go on a free tour to see various artifacts and relics that connect us to the Alberta’s history. Learn about our historical local leaders such as the Famous Five who played a prominent role in changing the Canadian law to include women in the government. On the far north side of the fifth floor is the most visited place called the Magic Spot. At this spot, the sound of the water trickling from the fountain below will seem to be falling down from above. It truly is a magical phenomenon. The sound from the water fountain below in the rotunda is reflected from the Grand Staircase and bounced off the domed ceiling, giving the listener the illusion of water trickling from above. The reflective pools at the Ledge are a very popular attraction to children, especially in hot summer days! Grab your bathing suit and splash away in the summer, or bring your skates and glide away on the ice rink surrounded by Christmas lights in the winter. The Legislature Building hosts various events and activities all year around. This year they partnered with Canadian Heritage and hosted the Canada 150 celebrations. The day was filled with fun and educational activities and performances from various cultures to celebrate our diversity. This summer the Ledge is holding outdoor concerts that will be featuring Albertan musicians every Friday. End your day with hand-crafted gifts made by Albertan artists at the Ledge Gift Shop. The Ledge offers a variety of souvenir such as ornaments, paintings, posters and other hand- made items that signify Alberta’s rich culture. There was a reason why my parents chose this building as our first place to visit in Canada. To them it was more than just a beautiful building with great grounds. To many immigrants such as my family, the Ledge stands as a symbol of hope. The government that sits in this building and its citizens accept families like mine with open arms and provide various opportunities to start a new and better life each and everyday. So grab your loved ones and your picnic baskets and bask in the sun and the rich history of our province by spending the day at the Legislature Building. Don’t forget to snap some pictures ! 3000 likes on my official Facebook page, 3300 followers on Instagram and 7.6 K shares of my articles. All in just one week !! In my last blog, I shared an article written by The Hindu, an Indian national newspaper, about my journey to Miss World Canada. Since the day the article hit the stands, my phone has not stopped ringing with notifications !! I have recieved over 400 messages from people across India, Canada and USA that I have never met or known, extending their support on my journey to Miss World Canada. I lost track of the articles, TV clippings and media posts that have been written about me as Miss Northern Alberta, but more importantly about my fight to empowering young girls through education. Below are links to the national newspapers and websites that have featured articles about me and my platform. Give it a read and let me know your thoughts. Before I end this post, I want to express my sincere gratitude to all those who have taken their valuable time to LIKE, SHARE and send supporting messages and blessings my way. All the love that I have recieved since the day I started my journey has encouraged and motivated me to work hard and give back to my community. All the valuable feedback I have been receiving has affirmed me that my voice is heard loud and clear across the oceans. It is my life’s mission to ensure each and every young girl can create herself a successful future by providing her access to education. I will work hard and use my platform as Miss Northern Alberta World or Miss World Canada or simply as Sravya Kalyanapu, to ensure each and every young girl has access to basic education. Even before I started my journey as Miss Northern Alberta World, I have recieved immense support and love from my family, friends and community. All that love and support has quadrupled over the past few months. From my 10 year old niece to the federal politicians , everyone in Canada has taken their time to send their encouragement and blessings towards my journey to Miss World Canada. Since June 30th, I have been receiving support and encouragement across the world ! A journalist from The Hindu, an English- language national newspaper in India, has seen a post of mine from my Facebook page shared by my father. He was very impressed with all the work I have done in India and Canada promoting education among women. He got in touch with my father immediately and requested to write an article about me in the national newspaper. I was beyond thrilled !! I grew up reading this newspaper and having the opportunity to be featured in it is truly amazing. The article hit the stands on June 30th. Since that day, I have recieved over 150 messages just in Facebook page alone from people all over India !! I feel so overwhelmed with all the love and support. Words cannot express my feelings, nor my thanks for all the appreciation and encouragement I have been receiving from everyone. All this support is motivating me to work harder and make a difference in the lives of the most vulnerable. Here is a link to my article on The Hindu National Newspaper. Give it a read and let me know what you think !! It is clear from all my blogs that I am a strong advocate for education and using it to help those who are less fortunate. But when I speak about education I am not just talking about memorizing math formulas and applying it on your exams and forgetting about it ! From our parents to our teachers, from our school to our community, education comes in ALL forms. As my time as Miss Northern Alberta so far, I spoke with youth about the power of education and how they can use it to create a safe and successful future for themselves. But more importantly how they can use it to create a fair and just world. My campaign took an interesting turn when I came across DECSA ! I was invited as a guest speaker at the Ventures Networking Event hosted by Distinctive Employment Counselling Services of Alberta (DECSA). DECSA is a not for profit organization that provides various forms of support for individuals with barriers to employment, education and entrepreneurship. Over 50,000 Albertans have accessed DECSA programs and services !! My platform is heavily focused on empowering youth through education. I work very hard to shed light on organizations such as DECSA that help youth overcome their barriers to education and guide them in the proper path to success. So this was a fantastic opportunity !!! On a Thursday afternoon after work, I was off to DECSA Center with my crown and sash. I was greeted at the door by Sheree, the Program Manager and was soon introduced to all the individuals who attended the event. I was absolutely amazed when I heard their stories! The individuals that I met at the event were so resilient to establish their business regardless of their adversaries. We went around the room introducing themselves and their business. The room was full of aspiring entrepreneurs ! Soon I started my presentation about my business, how it began and its community involvement. I also shared the role my title as Miss Northern Alberta World played in building my business and increasing my community involvement. Moreover, how Seleste goes hand in hand with Miss World Canada initiative Beauty With A Purpose. Lastly, I explained the value and the social responsibility we have to investing in our community. For example, David owns an accounting firm in Edmonton. I suggested to David that he can offer accounting services to individuals from low income families at a little to no cost. In return for his services, these individuals will extend and promote his business and services in the community and help build good will. We concluded the evening by going around the table and brain stormed various ways their respective business can be involved in the community. It was an eventful and educative evening !! I am working towards informing the youth about the services and resources DECSA provides to assist individuals obtain proper education and employment opportunities through my social media. Being crowned as Miss Northern Alberta World has increased my outreach by 2,260 people !! Through my social media and blogs, I hope to bring more individuals to organizations like DECSA where they can have access to proper resources and advisors that can assist them overcome their barriers. I had my FIRST EVER TV interview as Miss Northern Alberta World 2017 with AB India 4U. Thank you Kumar Mehra and team for giving me the opportunity to talk about my platform and journey to Miss World Canada. Watch my full interview on Asian Television Network and let me know your thoughts ! Pony Rides, face painting, live music and endless popcorn of course !! Now that to me sounds like the PERFECT way to spend your Sunday afternoon. Thanks to Nicola, event organizer of the Bonnie Fest, I had the opportunity to spend my day at this beautiful community event. Bonnie Fest is community festival that is organized every year for people to meet and connect with one another. This year Bonnie Fest is extra special as Rutherford School hosted a BBQ fundraiser !! Sadly, there were no veggie burgers 🙁 But, my sister assured me the burgers were delicious as she ate them right in front of me !! I not only had the opportunity to make an appearance as Miss Northern Alberta World at the fest, but Nicola was kind enough to help me attain a table at the festival to sell my lipsticks. As you all know from my previous blogs, my business is run with a social conscious. When I informed Nicola about my work with children in India she was more than happy to let me sell Seleste Lipsticks at Bonnie Fest. My sister and I started to Bonnie Fest with Tim Horton’s breakfast on the way ! We were greeted by Nicola at the entrance and she showed us to our table. We soon set up the table and waited for people to come in and join us. Within half hour, the place was filled with kids and parents. There was laughter and music everywhere !! I had so many visitors excited to see me, screaming “look, its a princess.” So many children full of curiosity rushed to my table wanting to wear the crown and try Seleste Lipsticks. I absolutely love spending time with children ! They have such genuine hearts full of energy and compassion. I shared my stories with them about how and why I became Miss Northern Alberta World. I explained to them I took on my role to help children like themselves. I also showed them pictures of the kids in India that recieved assistance through Seleste Lipsticks. They were so moved that they convinced their parents to purchase Seleste Lipsticks. As the saying goes, all the good things must come to an end ! I had a wonderful time interacting with the kids and parents who attended the Bonnie Fest. This would have not been possible if it was not for Nicola for giving me the opportunity to attend the festival; and also for my lovely sister to help me set up the table and keep me company throughout the day !! Until my next post, I bid you goodbye.